We know you have a choice when it comes to selling your gold, Jewelry & silver. We also understand your time is valuable and should not be wasted. Manor ensures you will receive a reliable and straight forward appraisal and sale transaction each and every time. Stop in today and sit for a few moments with a member of our experienced, professional staff. 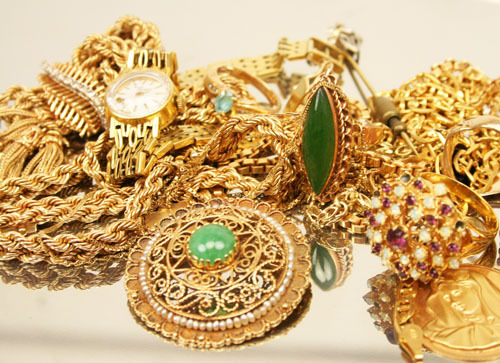 We use a multitude of factors in appraising your gold, Jewelry, silver, Diamonds & coins; including condition, manufacturer, fineness, re-saleability, mint marks, dates and weight. The entire process generally takes just a few minutes. We pay substantial premiums for diamonds and designer makers such as Tiffany, David Yurman and Cartier. Manor can pay you the most in Tallahassee for your gold, silver and Precious Metals because we have a diverse clientele, and the ability to sell through retail, private treaty, catalog auction or refinery. Price us today, and learn why Manor Auctions is the best place in Tallahassee to sell gold, silver, Jewelry, coins & Diamonds. You'll be glad you did.